This item has been downloaded 1267 times. 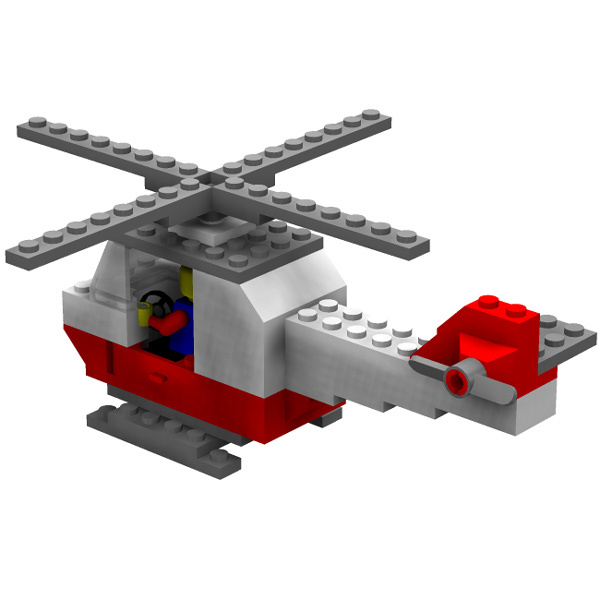 A brick-style helicopter for use in Poser. Includes obj/ mtl and cr2/ png. -Top blades can rotate (with an ERC dial on the BODY). 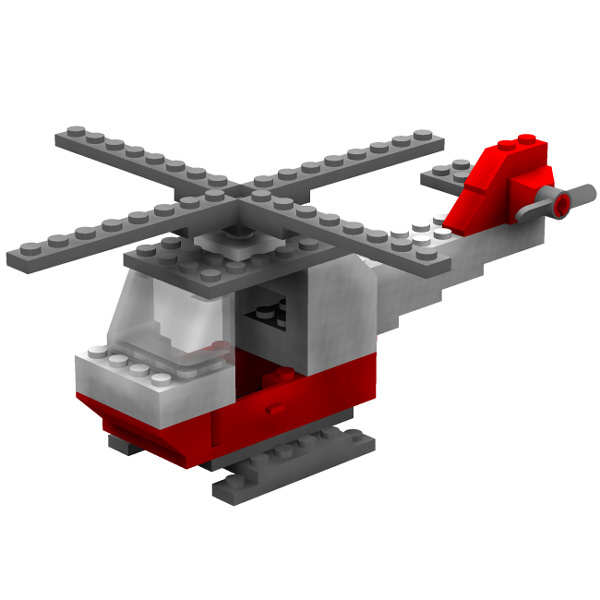 -Rear blades can rotate (with an ERC dial on the BODY). -Steering wheel can rotate (with an ERC dial on the BODY). -Right and left doors can open and close (with an ERC dial on the BODY). UV mapped, but no textures are included.